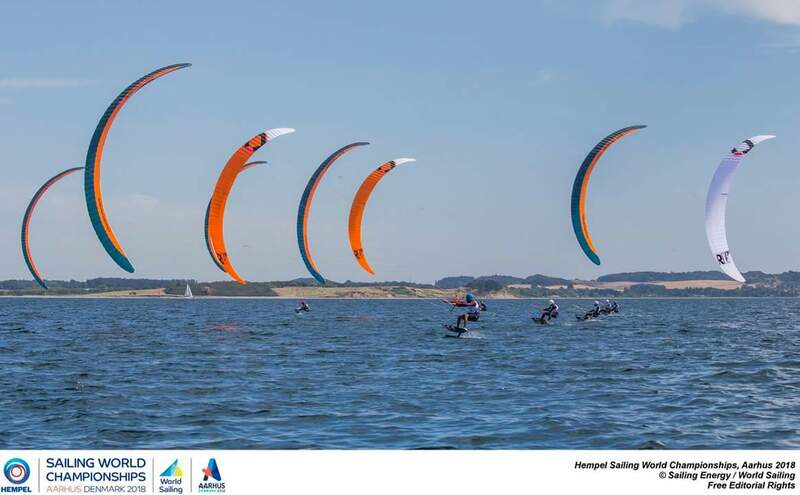 Perhaps the biggest event in the race Calandar , the formula Hydrofoil Race World Championships in Aarhus, Denmark. 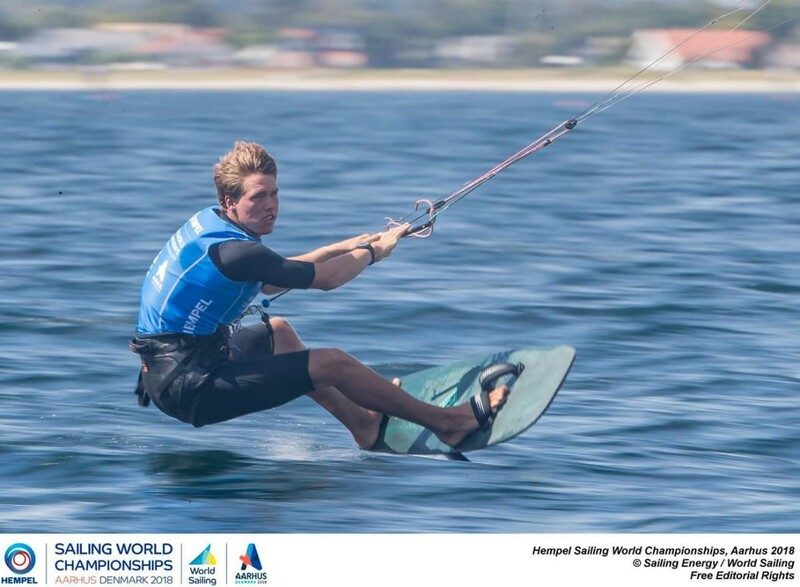 The first time that Kiteboarding takes place in the World sailing finals – now as an olympic Sport. 3 days of qualifying followed by 2 days final series and medal races. 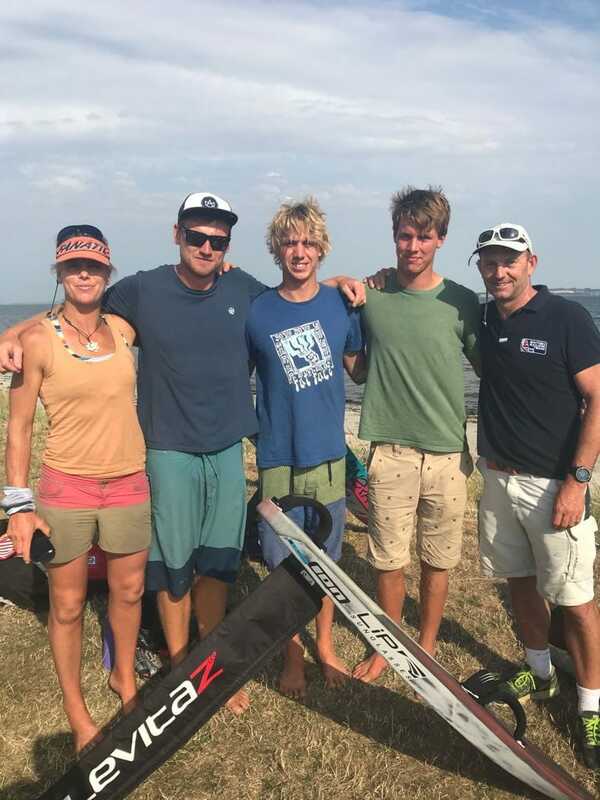 A Mixed bag of wind and weather did not phase Olly and Guy who were 1st and 2nd going into Gold fleet following 3 days of qualifying. 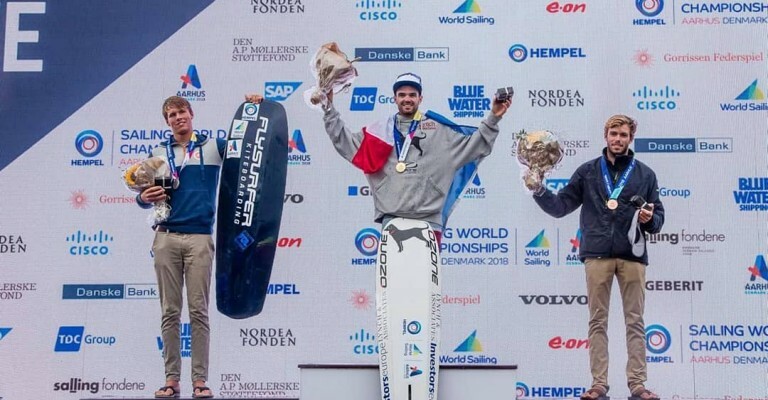 Gold Medal Races took a toll on both of the boys with both having gear failure – Broken lines in 2 different races which cost them valuable time & races on a day when it all mattered. Guy managed to make it back into 2nd Place while Olly got to 7th Overall. 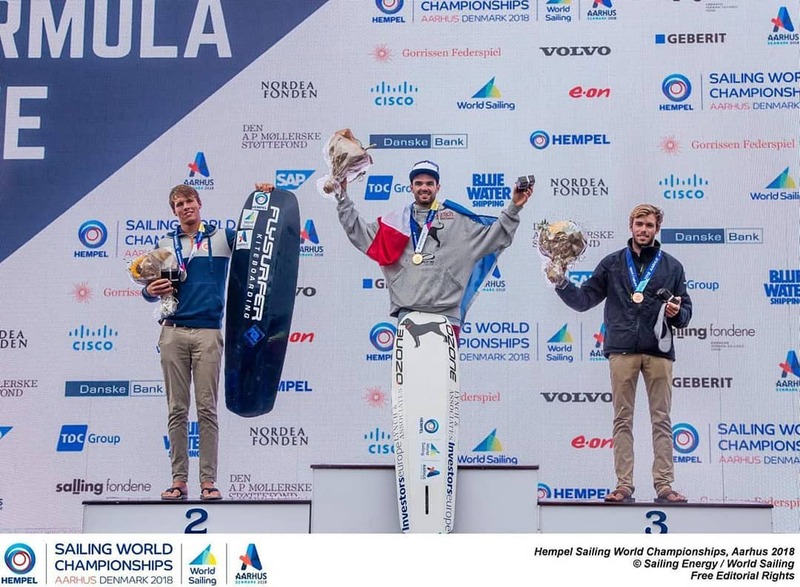 There was still all to play for, with medal race day and 3 non – discardable races on the stadium course. Amped & ready for action, the medal racing got postponed due to thunder & lightening which meant that Guy would finish with a Silver Medal in this- the first major event as an Olympic Sport. 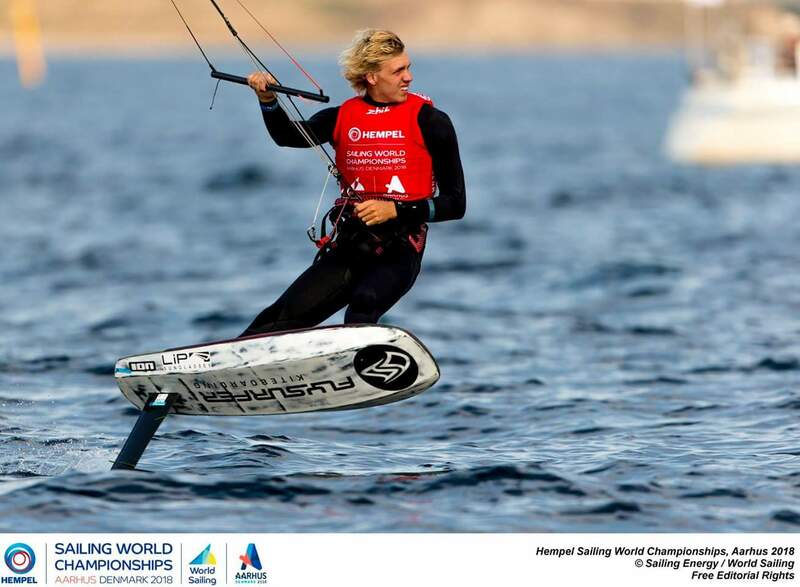 Disappointed, Olly took 7th & in the womans – Steph in 4th Place. Another incredible performance for all the team who -travel back to the UK for preparations for the next big event in China. All the team thank the British Sailing Team for their support and a special thank you to 2 x Olympic Medal & 3 x Volvo World Sailor’ Ian Walker’. Ian took the role of Coach for this event & we were really fortunate to share time & his expertise for this event.